I hope you all had a wonderful holiday season and enjoyed all of the delicious food with your family and friends. 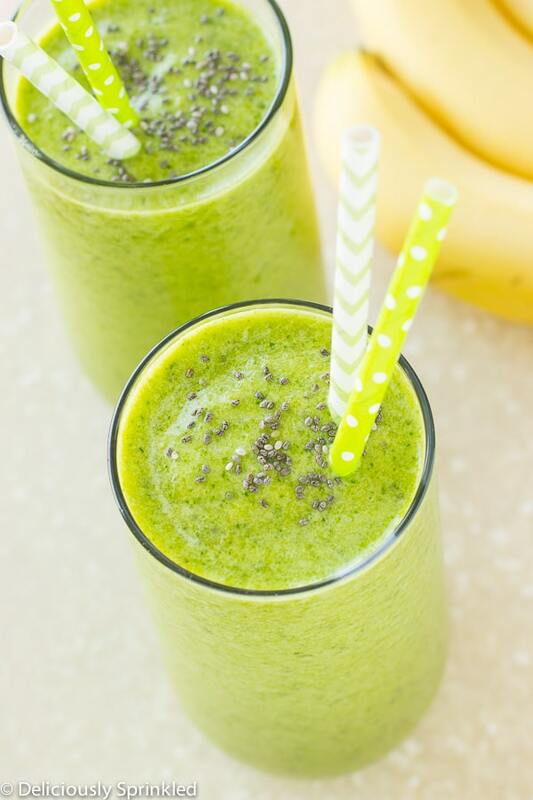 But if you are like me, I’m ready to get back on track, and the best way to start is by making this Energizing Green Smoothie. 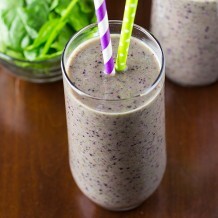 When it comes to green smoothies, I have tried almost EVERY green smoothie out there and I hated them ALL, GROSS! 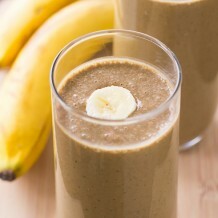 So I was determined to come up with green smoothie recipe that tastes delicious, was healthy and would give me energy. 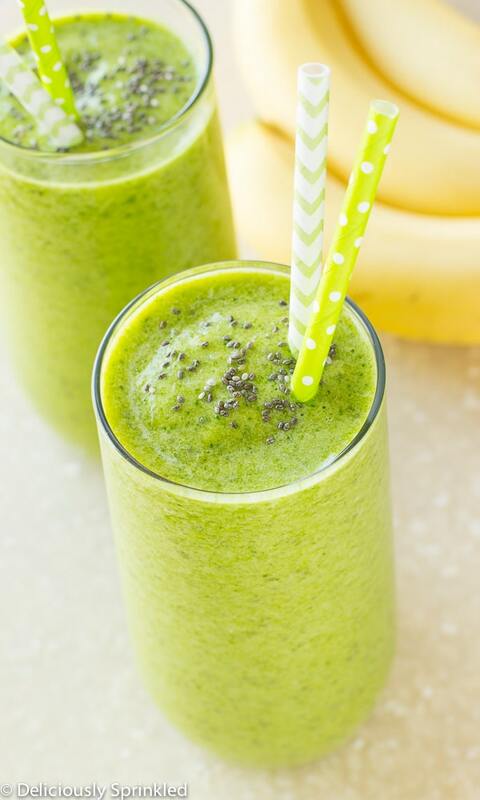 Well, this Energizing Green Smoothie has that all and I honestly I have given up my morning tea/coffee because this smoothie gives me WAY MORE ENERGY without the afternoon crash, YAY! ✓ I ♥ CHIA SEEDS: Chia seeds benefits the body by delivering maximum nutrients with minimum calories and promotes digestion, ENERGY and detoxification. These are the chia seeds I use & remember to store your chia seeds in the fridge to make them last longer. ✓ MAKE IT GREEN: To make this have it’s pretty green color, you want to first blend the spinach and water together until all the leafy chunks are gone. 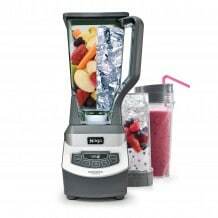 If you add all the ingredients together into the blender at once your smoothie will be an ugly green and you will have chunks of spinach in your smoothie. No good! 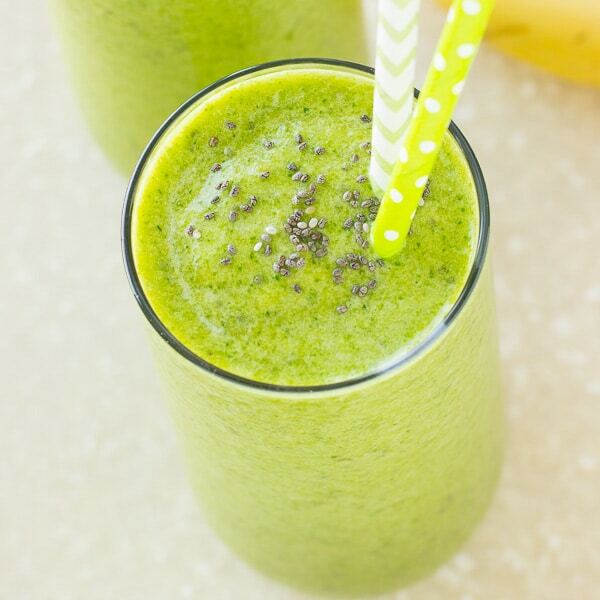 STEP 1: Toss spinach and water into the blender. Blend together until all leafy chunks are gone. STEP 2: Add mango, pineapple, bananas and chia seeds. Blend until smooth. 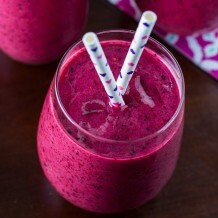 Always love your smoothies! Can’t wait to try this one! This looks delicious- a green smoothie I actually want to drink 🙂 Love all the tropical fruit!